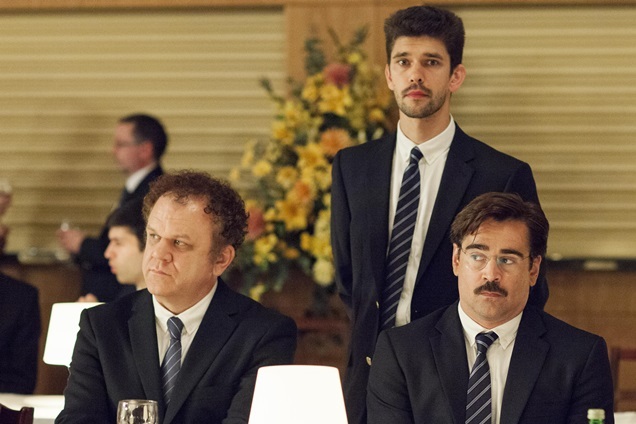 Irish film ‘The Lobster’ will have its world premiere at this year’s 68th Cannes Film Festival, screening in the official competition. Starring Colin Farrell, Rachel Weisz, Lea Seydoux, John C Reilly, Ben Whishaw, Olivia Colman and Michael Smiley, ‘The Lobster’ is a blackly funny love story set in a near future where finding love is a matter of life or death and is the English language debut of internationally acclaimed Greek director Yorgos Lanthimos (‘Dogtooth’, Alps’). The film was shot at Parknasilla in Co Kerry in Spring 2014 and co-produced by Element Pictures who will also distribute in Ireland later this year. While the cast (Including John C Reilly, Lea Seydoux and Ben Whishaw) did most of their own stunts, Stunt Guild Ireland’s Gee Nagys was stunt coordinater and was joined by Stunt Guild Ireland Performer Aoife Byrne.